Home › Blog › What are the components of the 3m high voltage cable? The cable in 3m high voltage is an important part of the X-ray machine. 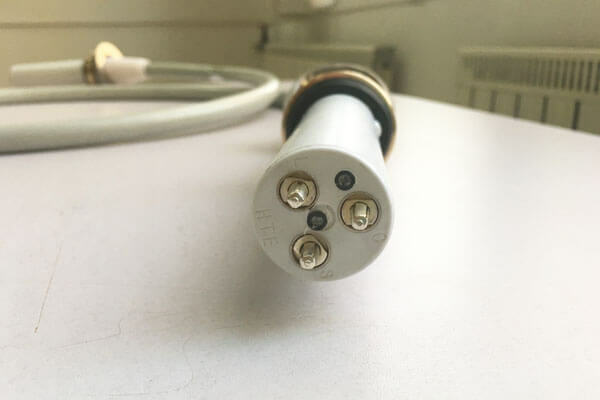 The high voltage cable connector and socket of the medical X-ray equipment are composed. Our 3m high voltage cable is divided into 75KV and 90KV. The 3m high voltage cable has a variety of cable heads and lengths. 3 or 4 core straight or elbow cable.Movable flange and contacts.Cable accessories, flange, insulation grease, contact, short connector cable accessories complete. We also manufacture high voltage cable sockets for X – ray generators and X – ray tubes.And is divided into a variety of models and types. We can make any connector and length according to user’s requirement to suit user’s equipment and application. The 3m high voltage cable of Newheek is characterized by good flexibility, low noise, high voltage characteristics and wide safety margin. Our 3m high voltage cable can meet your different procurement needs. Come and contact us.